The Kinesio Taping® Method is applied over muscles to reduce pain and inflammation, relax overused or tired muscles, and support muscles in movement on a 24-hour-a-day basis. The taping is non-restrictive and allows for full range of motion. In contrast, more traditional sports tape is wrapped around a joint strictly for stabilization and support during an athletic event. 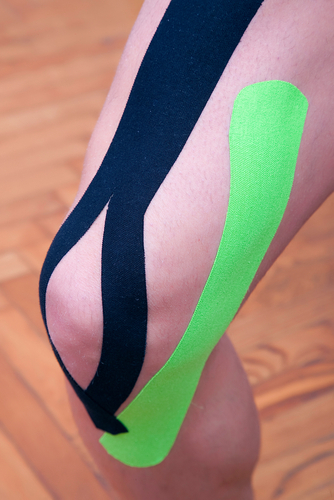 Kinesio® Tex Tape is used to treat anything from headaches to foot problems and everything in between. Just a few examples include rehabilitation from sports injuries, carpal tunnel syndrome, lower back strain/pain (subluxation, herniated disc), knee and shoulder conditions.